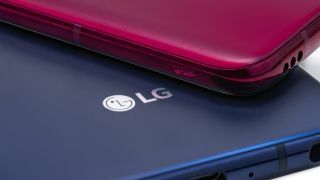 LG rumoured to launch smartphone with second screen | What Hi-Fi? LG is set to launch a smartphone with a second-screen attachment, according to CNET sources. The yet unnamed handset, which will allegedly make its debut at Mobile World Congress next month, has been described to CNET as a ‘sort of case with a screen’, which could expand the screen real estate by double the size. The attachment would be optional, so supposedly people could use it for, say, watching videos. Previously, reports have suggested that LG would launch a foldable phone to compete with the long-teased Infinity Flex Display Samsung revealed late last year, but this one won’t fold. Whether or not it’ll be the next model (the G8?) in LG’s flagship line-up is also to be confirmed. If the rumour is true, LG would certainly be on a roll with high-concept devices, having wowed CES attendees with its rollable OLED TV earlier this month. The countdown to Mobile World Congress begins. Could Soundmagic’s E11BTs be our new favourite budget Bluetooth headphones?